Is my dog sick if the nose is dry and warm? 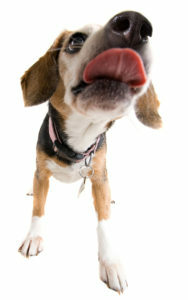 A dry and warm nose doesn’t necessarily mean a dog – or cat – is sick. A dog’s nose can be cool and wet one moment and dry and warm a few minutes later. That is normal. Watch for changes such as loss of pigmentation, or a crusty, flaky nose. If your pet has cracks, scabs, open sores, or loses pigmentation on the nose, it’s time to see a veterinarian. The myth about the warm and dry nose probably comes from it often being prevalent along with other symptoms in sick animals. Black spots – most common in orange and calico cats where the spots appear with age. Sunburn – animals with light coats and pink noses have the biggest risk. Just as in humans, sunburn can lead to skin cancer. Allergies – often against plastic and dyes. Many animals are sensitive to plastic food dishes and can get acne-like symptoms. Runny nose – often together with coughing and sneezing. This can mean anything from an allergy or upper respiratory infection to a tumor, and your pet should see a vet.